After scoring his first goal against Spain, Cristiano Ronaldo celebrated by making this strange gesture. After the game, fans were perplexed as to why he was doing this. Some suggested that this was a dig at David De Gea who has a beard. Messi poses with goats in this piece by the New York-based magazine called ‘papermag’. Why did he do so you might ask? G.O.A.T stands for Greatest Of All Time. Cristiano Ronaldo and Messi are both considered the best players in the world and their fans believe their idol is the best. Cristiano Ronaldo must´ve seen this picture and attempted to prove that he is the real G.O.A.T, not Messi. 2. Maradona High On Cocaine or Drunk? Argentina snatched a victory from Nigeria in the 85th minute to keep their world cup hopes alive. You would expect that the headlines would be about Messi or Rojo who scored the winning goal. But guess what, Maradona’s antics snatched the headlines from them with his bizarre behaviour. Everyone was talking about him, including Piers Morgan. He was struggling to walk by himself and was being supported by paramedics after Argentina´s win, you can see the video here. One of our writers even spotted a shot of the Argentine world cup winner scratching his nose during Argentina’s previous game against Croatia. He suggested that Maradona was definitely on coke (not the fizzy kind, the one that gets you in jail). We laughed at him and didn’t pay much attention to it, but I guess we owe him an apology now. “In the halftime of the game against Nigeria, my neck hurt a lot… I was checked by a doctor, and he recommended me to go home before the second half, but I wanted to stay because we were risking it all. Yeah, Maradona, We believe you were sick, but this photo doesn´t look like you were. We still hope you get better. 3. Peruvian Fan Becomes Obese To Get a Chance To see the world cup. A 24-year old Peruvian man, simply known as Miguel was disappointed to not get a ticket to Russia. His only option to watch the World Cup was to be eligible for a Disabled ticket. To do this, he would have had to become morbidly obese. “The only tickets that remained on the FIFA website were tickets for the disabled. I noticed what the requirements were: being in wheelchairs, something specific for women and suffering from morbid obesity, 35 BMI, the body mass index I looked at mine. I was in 30, and I did accounts, I had to raise 25 kilos” reported Clarín Sports, a news agency from Perú. Usually, when a team loses a match, its fans become very sad and angry. Would you expect a Real Madrid fan to sing arm in arm with a Barcelona fan after his team loses? Probably not. However, this Senegalese fan was doing this exactly despite his side losing to Japan. Speaking of Japanese and Senegalese brotherhood, Senegalese Fans helped Japanese fans to clean up the stadium after their teams finished playing. The Japanese had gained a reputation for cleaning the stadium after rooting for their team in previous editions of the world cup, but this time around the Senegalese joined them. A note with “Thank you” written on it in Russian, was left on the table. Placed in a shining dressing room. This is not a joke nor a fake news, it is simply one of the most beautiful picture of the entire 2018 World Cup in Russia. The Japanese were devastated after the dramatic comeback of Belgium in the second round of the FIFA 2018 World Cup in Rostov. They returned to the dressing rooms, with tears in their eyes. Then, with an immense heart, after they have given us a unique display of football, they made sure that they clean their locker room. No bottles, no papers, no tapes. Shining, clean, and a note in Russian: “Thank you”. Nigerian fans often paint chicken in their national colours of green and white when they go to the stadium to support their teams. Andrei Yermak, Kaliningrad’s minister for culture and tourism, said that while there had been no official requests to do so, some Nigerian fans had asked if it would be possible to bring chickens to the match. A touching video has emerged on youtube where a Colombian fan helps a blind and deaf fan to experience the world cup in real time. He does this by making a small-sized pitch and the use of gestures and touch. First, it was a Deutsche Welle reporter, who was groped and kissed live on tv, while doing a report. Another news reporter, this time from Brazil dodged a kiss from a fan and scolded the fan for his uncouth behavior. A distraught Argentina fan from India committed suicide by jumping into a river after Argentina lost 3-0 to Croatia. The man who has been identified as 30-year-old Dinu Alex left behind a note saying he couldn't bear the pain of Argentina losing. However, Israeli fans clarified the story that they were not assaulted; instead, they were welcomed by fans, including those from Morocco. They said that what looked like Israeli and Moroccan fans fighting was fans trying to grab Morocco captain Mehdi Benatia’s shirt when he threw it at the fans at the end of the game. His name is Pedro, an eight year old kid from Brazil with an immense passion for football. His story quickly went viral around the world. Not being able to afford buying the collection of stickers dedicated to the FIFA World Cup 2018, the child chose to rely on his creativity, by drawing 126 “figu” out of the 628 cards found in the album. The initiative, as reported by El Espectador, immediately arrived at Panini, where they decided to reward the young man by giving him a special edition complete with the album. The collection that will be delivered to Pedro, will include a personalized card especially dedicated to him. 12. 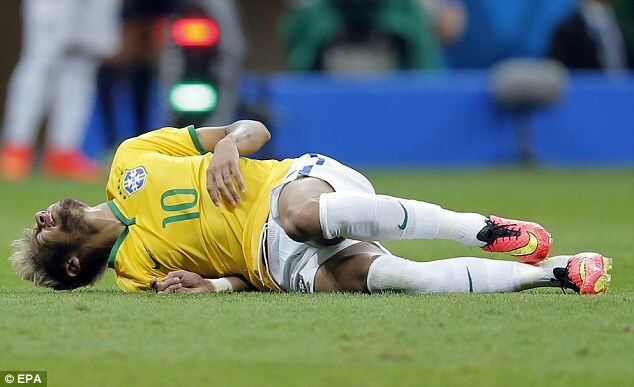 Neymar Has Spent a Total Of 14 Minutes on the floor. PSG forward, Neymar has played in all 4 games for Brazil so far. He is sadly known for the many number of times he falls to the ground extremely easily, even if it's a dive or not. He has spent a total of 14 minutes on the ground in these 4 games, which shows that he will take any chance possible to receive a foul and stop the play instead of carrying on and playing normally. 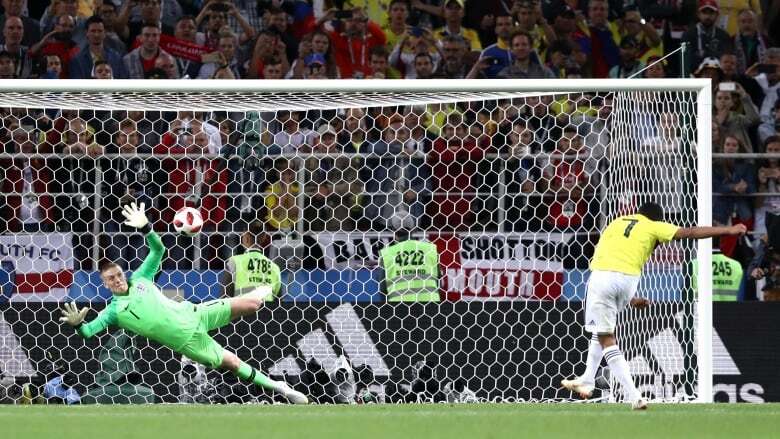 Having lost to the youthful English team, failing to reach the quarter-finals, Colombia “fans” have sent the Colombia players DEATH THREATS for losing against England on penalties and failing to progress further in the tournament. This isn't the first time something like this has happened in Colombia. Andres Escobar, a 27-year old male at the time was gunned down in the streets of Colombia for being “the reason” Colombia went out of the World Cup in 1994. The supposed “reason” he was shot was because he scored an own goal against the US, sending them out of the World Cup. Escobar's brother is now worried for the Colombian players' lives as he believes it may happen again. 14. John Obi Mikel's father was kidnapped during Nigeria's game against Argentina. John Obi Mikel's father was captured just hours before Nigeria's game. He had been called by the kidnappers saying that he had to pay around 300k to them if he wanted his dad alive. They also stated that if Mikel told anyone such as the authorities about it, they would've shot his dad instantly. Mikel had to make the decision to represent his country in front of 180 million Nigerians and not let them down. Thankfully, after 6 days, the authorities were able to bring back Mikel's father and he's now safe and healthy. 15. There has been 28 penalties awarded so far in this World Cup. In the last World Cup in 2014, there were a total of 13 penalties awarded throughout the whole tournament. In 2010 there was a total of 15 awarded. Does this mean that the installment of VAR has made it easier to receive penalties? Or are most players playing a lot more rough this year? Both Granit Xhaka and Xherdan Shaqiri celebrated their goals for Switzerland in their 2-1 win over Serbia by making the nationalist symbol of their ethnic Albanian heritage. A lot of people demanded for both these players to receive 2 match bans, however, the bans weren't issued and they will be paying a fine up to £7600 each. 17. Maradona Claims that England Committed “Robbery” against Colombia. The Argentinian legend claimed that England committed “robbery” against Colombia, even when Colombia decided to play very rough to try and come back into the game. FIFA responded to Maradona's claim that England had the referee on their side because of the penalty that was given to England in the second half. They ended up having Maradona giving them blame for not reviewing the referee enough as he states “Geiger knows a lot about baseball but has no idea about football”. 18. Psychic Octopus killed and used for food in Japan. 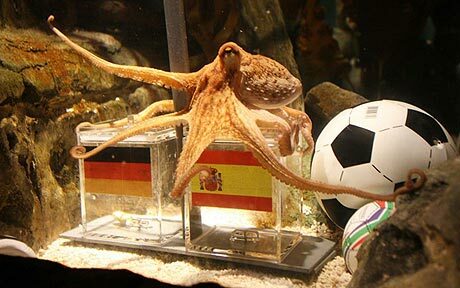 The psychic octopus who shone in the 2010 World Cup, predicting a lot of the matches correctly, has sadly made an exit from predicting World Cup games and has now ended up on someone's plate in Japan. He was sadly killed and sold at a market. Game 1: #7 France beat #5 Argentina. Game 2: #14 Uruguay beat #4 Portugal. Game 3: #70 Russia beat #10 Spain. Game 4: #20 Croatia beat #12 Denmark. The only game that didn't have the lower ranked team beat the higher ranked one was England vs Colombia. Now even though there is 4 spots between the 2 teams (England in 12th and Colombia in 16th), it was a very good game that could have easily gone both sides. 20. What Language Do The Belgium National Team Speak To Each Other In? The Belgium national team has range of different languages used by different players on the pitch. The 2 main languages used by these players are both Dutch and French. Because of this, there would be complications on the pitch and in the dressing rooms, language wise. To settle this, all players speak English in the dressing room and on the pitch. They do this to avoid preferring one language to another. Another benefit of this is that quite a few of the players from Belgium's team play with English clubs, which means they most probably know how to speak good English.